There are three primary opportunities to introduce clients to asset development: financial education, financial coaching, and financial development products. To maximize impact, asset development programs can combine financial education and financial coaching and direct clients to asset development tools. Financial education provides a foundation to understand how money works and how to manage it. 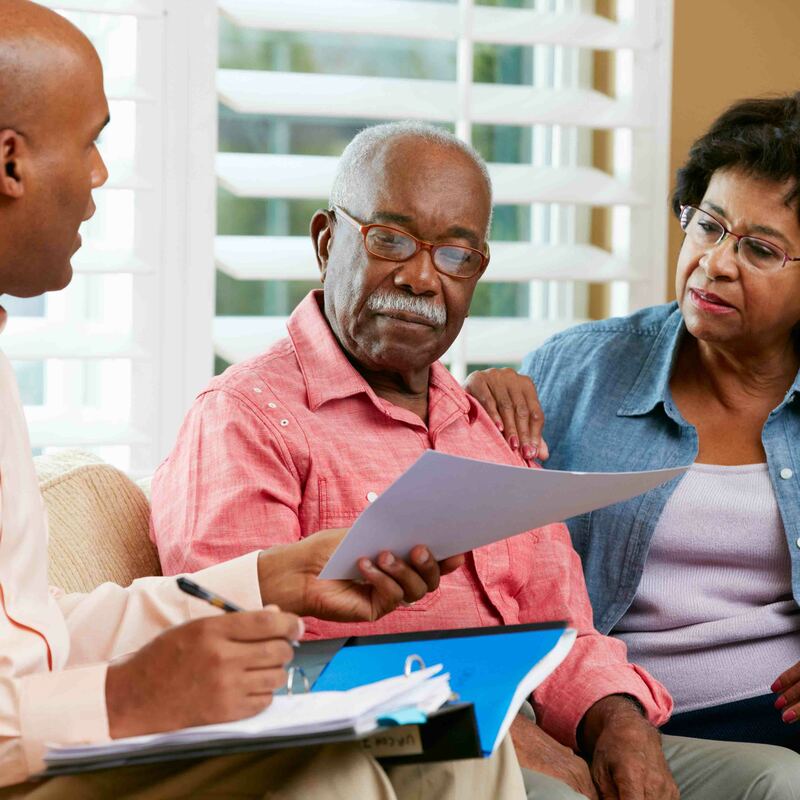 According to NeighborWorks, financial coaching is a service that is “aimed at helping clients focus on behaviors to achieve self-defined financial goals.” This differs from financial counseling, which primarily focuses on giving clients information and guidance to resolve a defined problem. Financial coaching is a client-driven practice to develop better financial behaviors facilitated by the coach. When combined, financial education equips clients with what they need to know to begin to improve their economic self-sufficiency, and financial coaching allows participants to apply the knowledge by developing savings goals and strategies. Financial development tools are services or products that can be offered with financial coaching or education or alone depending on an organization’s goals and capacity. There are several factors to consider before developing an asset development program. Below are some key steps to take and questions to ask. Survey Community Resources: What programs currently exist in your community? Who are potential partners for offering financial development resources? What resources are lacking in your community? Identifying answers to these questions will help determine what programs and services are most needed. Assess Organizational Capability: Based on current resources, what can you accomplish? What additional resources would be useful? How would they make a difference? Some considerations include: program goals, preparation time, staffing, client follow-up capabilities, and sustainability. Establish Goals and Desired Outcomes: What results do you want program participants and your organization or Outreach Campaign to see after implementing an asset development initiative? How does the asset development program align with your organization’s mission? Also consider how you will evaluate the program. For example, will you survey participants for their opinion of the program or will you develop a follow-up process to assess the long-term effects of the program? Identify Partners: Organizations that would like to partner with others for an asset development initiative can identify groups in the area, brainstorm opportunities for involvement, and then reach out to the organizations to gauge their interest. Some factors to consider when identifying potential partners include: Does the group’s interests and/or mission align with the organization or Outreach Campaign? Is the group capable of adequately contributing to the initiative? Has the group been successful in pursuing its own mission, projects, and initiatives? An organization’s capacity and needs will influence the asset development tool or curriculum used and the structure of the program. How much time does staff have to implement the program? What financial and organizational resources are available? What type of program matches the needs of the population served? Are existing programs sufficient for your organization’s needs? Can you recruit volunteers to assist with the program? Marketing will be important for any option selected. Organizations can promote an asset development program with tax credit outreach efforts. To increase participation, some groups have found offering travel stipends or gift cards—usually around $25—a successful strategy to encourage clients to attend financial education or coaching classes. Also consider partnering with a bank that has the ability to offer incentives upon opening a new checking or savings account. Identifying participants that match the aim and resources of the asset development program is essential for success. Establishing guidelines for participation will help ensure the program satisfies its intended goals and meets the needs of clients. The participant profile will vary depending on the asset building initiative selected. Who is the target audience for the program? Are the clients unbanked or underbanked? Do participants already have any assets? How do you know the clients are committed to developing assets? After establishing program guidelines, you can assess workers’ money habits. This process will help identify participants that are a good fit for your program goals and resources. For example, an unbanked worker who does not trust financial institutions and does not want to stop using alternative financial services may not be the best match for an asset development program that has a goal of helping participants open a bank account. Unbanked – Client does not have bank account. Underbanked – Client has a bank account, but uses it sparingly and continues to use alternative financial services. Banked – Client has a checking account, a savings account, or both, and uses the account(s) and other mainstream financial services such as credit cards, car loans, or mortgage. You can screen for potential program participants by using an intake form. An intake form is a questionnaire that asks basic information to evaluate which services or tools offered would be most beneficial to a participant. View sample questions to include on an intake form or to ask during a one-to-one session here. Responses to the intake questions will reveal your potential program participants’ attitudes toward and understanding of the financial system and financial tools. This information can help you assess if they would be a good match for your asset development program. You can also use intake and/or exit surveys for other services and programs offered by your Outreach Campaign or organization to better understand the needs of your clients. Develop a system to connect workers who express interest in asset development to your offerings. There are three levels of involvement for each asset development focus of financial education, financial coaching, and asset development tools. 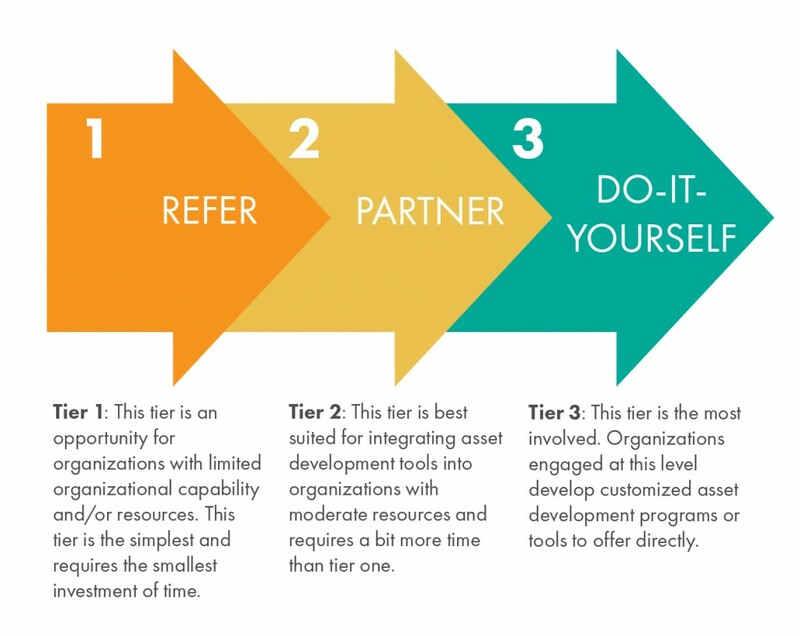 The tier engaged will depend on the level of commitment an organization can dedicate, as noted in the second step of the Planning phase, Assessing Organizational Capability. Outreach Campaigns that do not host a tax preparation site can consider offering asset development services during any time of the year (including year-round) to help clients establish economic stability. The first tier is an opportunity for organizations with limited organizational capability and/or resources. It establishes a foundation to add more services as the resources become available. This tier is the simplest and requires the smallest investment of time. 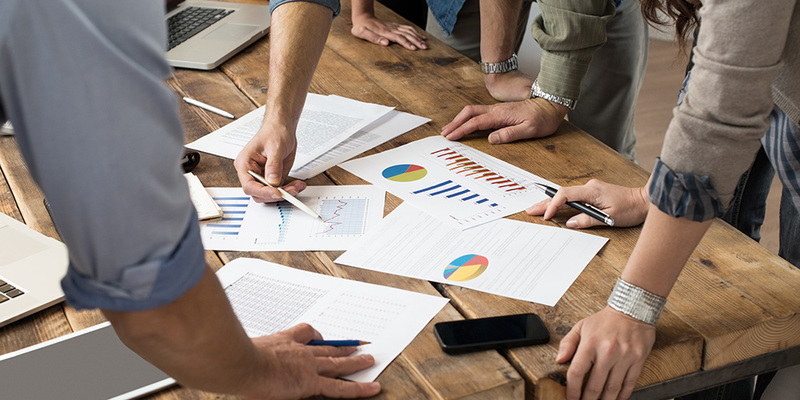 The second tier is best suited for integrating asset development tools into organizations with moderate resources and requires a bit more time than tier one. The third tier is the most involved. Organizations engaged at this level develop customized asset development programs or tools to offer directly. Organization locates an outside source to refer clients to for financial education classes or finds a financial education resource to distribute directly to clients. Example: Next Step KC is a non-profit organization in Kansas City, Missouri that partners with United Way of Greater Kansas City to offer financial services for lower- to moderate-income families and households including free tax preparation and a small dollar loan program. Next Step KC promotes financial education by referring clients to FDIC Money Smart online classes and financial empowerment resources such as the Kansas City Saves program which helps people set financial goals. Organization recruits a partner to provide onsite financial education classes. 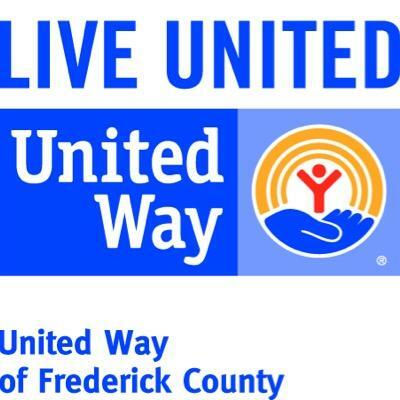 Example: United Way of Frederick County (UWFC) opened a “Prosperity Center” to improve financial stability for half of the 16,000 residents in the Maryland county. UWFC runs a VITA program and is a member of the Frederick County Financial Literacy Coalition, a collaboration of nonprofit organizations working to improve financial stability in Frederick County. Member organizations and guest speakers of the Financial Literacy Coalition conduct financial education courses at the Prosperity Center. Staff and volunteers teach all courses, which include a credit counseling “Credit Café” workshop, budgeting, and courses for small business owners. Organization develops a financial education curriculum that matches the needs of the local community and incorporates it into its operations. Example: Human Resources Agency of New Britain (HRANB) offers free tax preparation and asset development resources to the New Britain, Connecticut community. Trained staff deliver a comprehensive financial education series to individual development account program members as well as other interested participants. HRANB uses the FDIC 12-session workshop as its curriculum. Sessions are offered in English and Spanish. Since the start of the program in 2011, more than 280 clients have successfully completed the course. HRANB hosts classes on multiple days a week to accommodate different schedules. HRANB also holds workshops throughout the year to explore other financial topics that are requested by community members. Organization connects with another local group that specializes in financial coaching. Preferably, this is the same organization that clients are referred to for financial education classes. 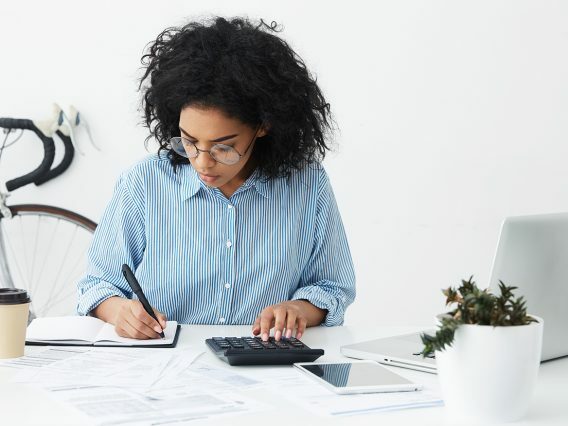 Financial coaching is often offered concurrently with financial education courses to lay the educational groundwork for long-term financial success. If there isn’t an existing program, implementing a financial coaching program with only a few check-ins can still help clients begin to change their financial status. One to three coaching sessions can be offered to clients by volunteers or paid staff after successfully completing financial coaching training. Example: Four Bands Community Fund is a non-profit serving the Cheyenne River Indian Reservation that provides financial education and coaching opportunities to individuals and small businesses. As a part of its financial education courses, Four Bands provides one-to-one coaching sessions to clients in need. The average client participating in the financial education program receives one to four coaching sessions over several months, depending on the personal needs of each client. The coach helps clients with budgeting, credit counseling, establishing future goals, and expands on lessons from the financial education classes. 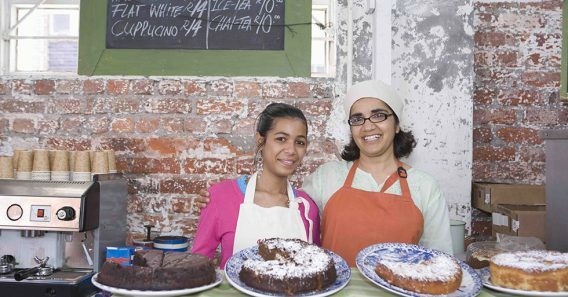 Four Bands also offers Business Success Coaching for small businesses in the community. Organization partners with a group to provide onsite financial coaching. Coaching programs typically consist of four to six sessions over several months. The extended length of the program allows for more in depth coaching than tier one programs. 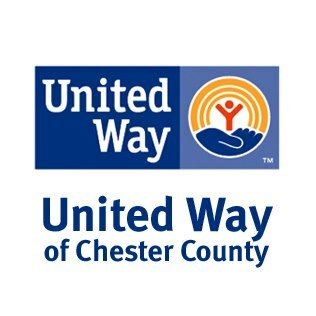 Example: The United Way of Chester County in Pennsylvania partnered with PA CareerLink to establish the Financial Stability Center, a one-stop location for residents to achieve financial independence. 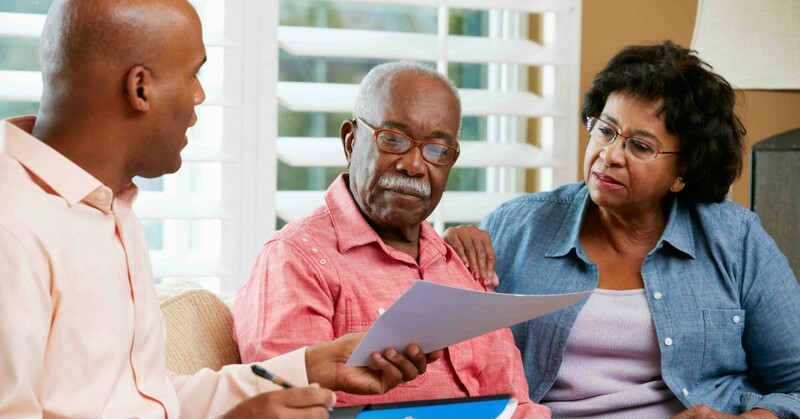 At the Financial Stability Center, clients are encouraged to seek financial education classes and meet with financial coaches to set goals and develop a plan to achieve financial stability and independence. The coaching services begin with a “Financial Insight and Resource Management (FIRM)” appointment. This service provides budgeting support, financial counseling, long range planning, and social service referrals. Organization develops and fully integrates its financial coaching program into its services. The financial coaching program lasts six to twelve months with regular one-to-one sessions with clients. Volunteers or paid staff can serve as coaches. 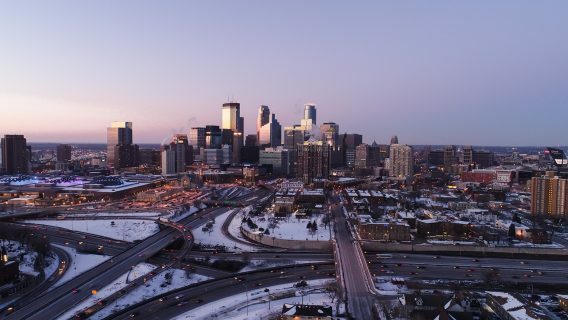 Example: Prepare + Prosper (P+P) in St. Paul, Minnesota, launched its financial coaching program, Money Mentors, in March of 2014. The volunteer financial coaches attend five four-hour trainings lead by P+P staff. Twenty volunteer coaches commit to serving for two days a month and each work with four participants individually. Coaching sessions are 75 minutes once per month, with additional check-ins by text, phone or e-mail between sessions. Sessions are designed to build trust with participants by getting to know their financial goals and then focusing on action steps to help reach them. Most participants are working to boost savings, control spending, eliminate debt, or improve credit. Participants commit to working with a coach for six months and may continue for a total of 12 months. Organization refers clients to local organizations and businesses that offer services for asset development, such as lower-income friendly prepaid cards, savings accounts, and IDAs. It takes approximately four weeks to connect to groups offering these services and to get information to share with clients. 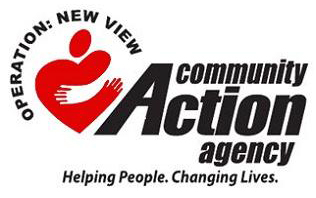 Example: Operation: New View Community Action Agency (ONV) serves the lower-income community in a three county area in Iowa. ONV offers Energy Assistance, Head Start, financial education courses, and free tax preparation services through the VITA program. At VITA sites and financial literacy courses, ONV offers financial services to unbanked clients. ONV partners with Bank On Dubuque to provide referrals to local banks and credit unions. These financial service institutions offer clients the opportunity to open “second chance” bank accounts. Organization partners with banks, credit unions, or local organizations to offer asset development services. Example: The Boston Tax Help Coalition (BTHC) offers free tax preparation services to more than 11,000 clients at 35 VITA sites. Clients at these tax sites are also offered the opportunity to participate in the “Financial Check-Up Program,” which aims to provide clients with credit advising and referrals to other needed benefit service providers. BTHC partners with Santander Bank in Boston so employees can help clients at tax sites open savings accounts. Organization provides financial development tools adapted from other groups. This option is limited to certain tools, such as individual development account (IDA) programs. Example: Since 1996, Capital Area Asset Builders (CAAB) in the District of Columbia has offered Individual Development Accounts to Virginia, Maryland, and DC residents. CAAB’s Matched Savings Program uses funds from the federal Assets for Independence Program and creates personalized IDA programs for a variety of partners that provide funding. These personalized IDA accounts are tailored to specific goals and can vary in their matching ratio from 1-1 to 8-1. Clients must be part of the IDA program for a minimum of 6 months, and participate in a minimum of 8 hours of financial education classes, plus additional classes based on what asset the client is saving for. Clients must participate in an orientation session prior to withdrawing funds with the approval of CAAB. Since the start of the matched savings program, over 2,000 clients have successfully completed the program. IDA participants have saved more than $1.2 million and received $3.5 million in matching funds. Asset Platform: provides training, tools, and products to assist clients with budgeting, savings, credit, debt, and benefits and insurance. Requires free registration. Practical Money Skills for Life Resources: includes financial education lesson plans, brochures, DVDs, and infographics.